The Yasaka Maru was torpedoed by German U-boats without warning on Tuesday afternoon. The ship sank in 49 minutes. All passengers and crew were, however, saved, and were picked up by a French gunboat at midnight on Tuesday. They landed at Port Said on Wednesday. Accommodation was promptly provided for passengers and crew. All passengers express great admiration for the skill of the Captain and officers and the discipline of the crew. Most perfect order was maintained during disembarkation, which was carried out with the greatest promptitude. 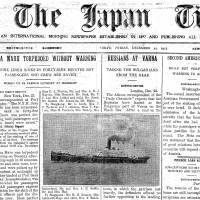 By the loss of the Yasaka Maru the mercantile marine of Japan has suffered its first big loss of the war. With their pockets filled with money and their hearts joyful over the anticipation of year-end bonuses, Tokyo’s young men are spending more on liquor, if the evidence gathered by a Miyako reporter at Shimbashi and Yurakucho stations can be taken as proof. Late Wednesday night a Miyako reporter saw a young inebriated fellow severely taken to task by a policeman close to Shimbashi Station, apparently on account of his careless conduct caused by his drinking. Then, a few steps away, another intoxicated case, causing some trouble to a station employee, was found by the same reporter. However, the paper continues, the cases of complete drunkenness are rare. Some are happy after imbibing in a few drinks, but not drunk; others wobble a bit while climbing the station steps; and not a few appear to be partially intoxicated; but complete drunkenness is seldom noticed. Japan and the Republic of Korea entered a new era of diplomatic relations with the exchange of the instruments ratifying the Basic Relations Treaty and four related agreements Saturday. The ratification exchange, which terminated 14 years of negotiations, was conducted in a solemn ceremony in the ornate conference room of the Capitol Building, witnessed by South Korean Premier Il Kwon Chung. In the 40-minute ceremony, the documents were exchanged by the Foreign Ministers of the two countries, Etsusaburo Shiina of Japan and Dong Won Lee of the Republic of Korea. The treaty and four agreements were signed in Tokyo on June 22 following 14 years of oft-suspended, rough-sledding negotiations started in 1952. The exchange of ratification papers signaled the coming into effect of the Japan-ROK Basic Relations Treaty and three agreements on fisheries, property claims and economic cooperation, and cultural properties and cultural cooperation between the two countries. The Japan-ROK agreement on legal status and treatment of ROK nationals residing in Japan will take effect 30 days later. Popular singer Tokiko Kato will be the first Japanese to be allowed by South Korean authorities to sing in Japanese at a charity show in a Seoul hotel Thursday, show organizers said Tuesday. She will also sing Korean songs in Korean. Since the end of World War II, South Korea has banned concerts of Japanese songs and showing of Japanese movies in view of strong anti-Japanese sentiment. The Korean Peninsula was a Japanese colony from 1910 to 1945. During that period, Koreans were forced to abandon their culture and use the Japanese language. Records made by Japanese singers have to be re-recorded in English before being allowed into the South Korean market. The concert is expected to give fresh impetus to efforts to promote and deepen cultural exchanges between Japan and South Korea, the organizers said. Deep-rooted antipathy toward Japanese culture still exists among South Koreans, and it is difficult for Seoul to lift all restrictions on Japanese culture, a Foreign Ministry official said. 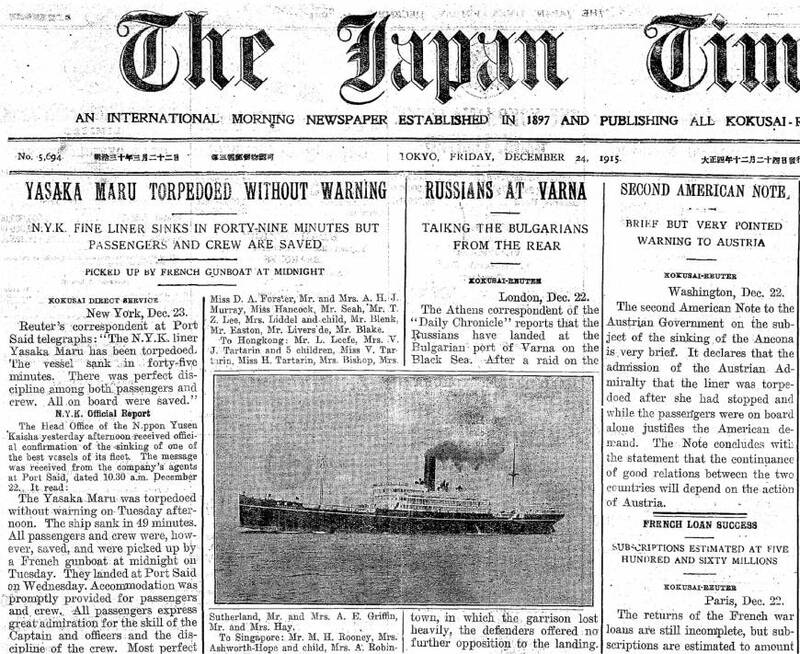 In this feature, which appears on the first Sunday of each month, we delve into The Japan Times’ 117-year archive to present a selection of stories from the past. This month’s edition was collated with the assistance of Midori Nishida. The Japan Times’ entire archive is now available to purchase in digital format. For more details, see jtimes.jp/de.